This project was created on 05/27/2016 and last updated 2 days ago. This project covers how to setup the esp8266 as a serial bridge, shows simple program for the arduino, and for the more advanced, how to write a webpage in php to control your lights and optionally how to integrate a webcam attached to a raspberry pi into the webpage without the need of port forwarding for the camera. I will also be talking about how to set up your phone to control the lights as well. I will also be covering a couple other projects later, a firework display control and an RC car controlled using an xBee so stay tuned. This project will be updated periodically as I am writing this after the completion of the projects. AFTER UPDATING THE ESP8266 OVER SERIAL ALWAYS MANUALLY CLICK THE RESET BUTTON ON THE ESP8266 THIS IS BECAUSE OF A KNOWN BUG IN THE WATCHDOG FIND OUT MORE HERE https://github.com/esp8266/Arduino/tree/master/doc/faq IMPORTANT!!!!!!! Well after a long thought process, I decided to do a major revamp of this project so webcam will have to wait for a future post. I will be starting a new project as this one is a little cluttered. So after a long break from writing, this series of logs will once again get an update. After reviewing the webpage code which was hard to follow, I decided to clean it up a bit and leave only what is necessary to run. As seen below the code is much more manageable and should run much smoother if you only have one light. There is still some code that can be cleaned up or removed but some will be used in my next update on the topic of adding the streaming webcam to the page. Stay tuned as more updates will follow. UPDATE: tested webpage update. It works really well. For this update I tried to clean up the code a little and added a Configuration Portal for Wifi so no longer have to change the code to get this to work as long as you use the outputs and inputs the same as in the code. I may try to add the ability to enable setting the hostname from the Configuration portal as well but for now, still have to use the hardcode for that. NOTE: I recommend using the EEPROM clear function in examples before uploading this code as I have had issues with this and other micro-controllers where I did not clear the EEPROM before using. So I finally broke down and figured out how to program this without the additional micro-controller. I used a Wemos D1 mini (the esp8266 on a breakout) which allowed me to power directly from the 5v and program easier. 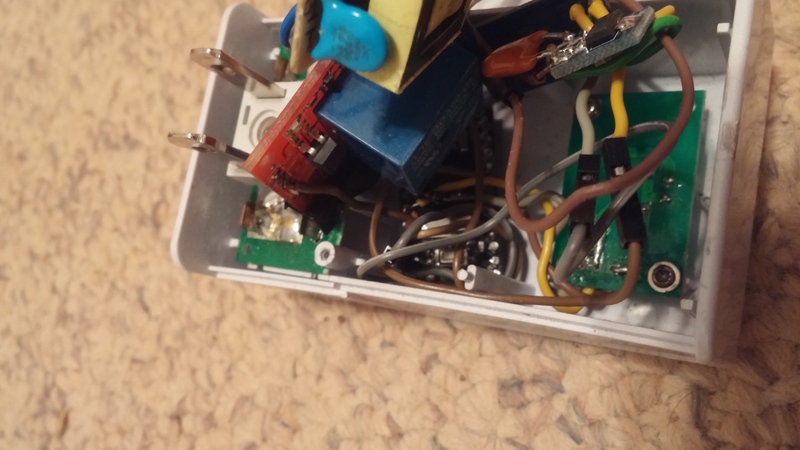 Connect the inputs and outputs to the Wemos directly and power directly from the 5v. This sketch includes debouncing, telnet control, and OTA update abilities both with the IDE and directly to the ESP8266. This sketch uses a push button where all the other examples use a toggle switch so please keep that in mind if replacing the old sketch. As a note I have not tried uploading using the web page so if anyone wants to comment on how that works please let me know. To set up arduino to program the ESP8266 directly, please see this link. You will have to update the SSID and Password but Should Work besides that. 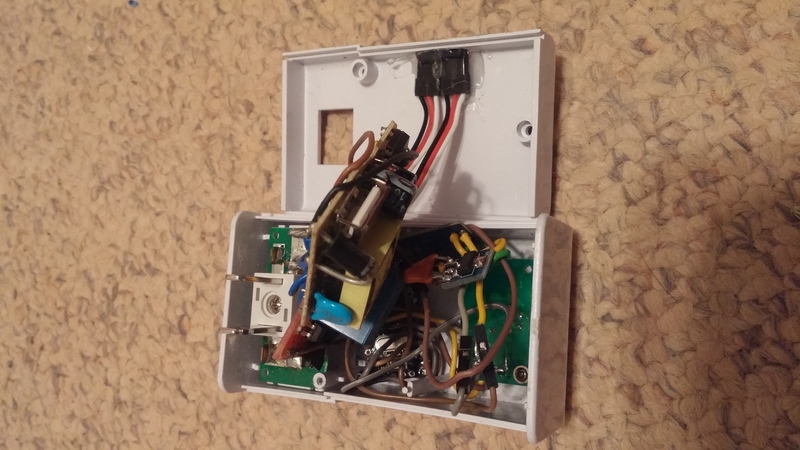 For wireless programming/re-programming, I connect to the esp using hardware virtual serial port found here. Be sure to disable NVT in the settings or you will not be able to program the controller. The send variable is what controls the lights while the expect variable is how I am checking if the lights are on or off so if you just want a simple control, just use the configuration without the if or the expect as below. If everything is working correctly, this is how the webpage should look. Note the fan icon is animated when on and the lights have two states as well. Time for the webpage. The page is written in php it is not the easiest way but I liked writing it. If you would like a tutorial on how to set up a Linux LAMP server please reply in the comments and I will try to get that up. I miss drive transistors for the relays! Normal Microcontroller outputs have not enough drive strength for relays (>=100mA). A small NPN or NMOS transistor is necessary. It would also possible to omit the extra Arduino. You need only 4 IO Pins. There are libraries to program the ESP8266 itself like an arduino. It contains already a 32bit CPU. The diagram is just an example, I&apos;m actually using 5v optocoupled relays. 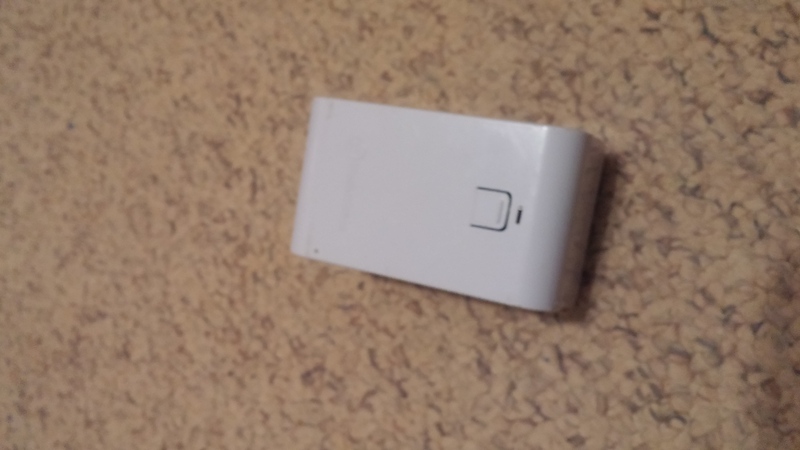 While there are several examples using the ESP8266 itself as the micro-controller, the esp-link firmware makes it a breeze for connecting to wifi with a gui interface no extra programming required each time you change the ssid. 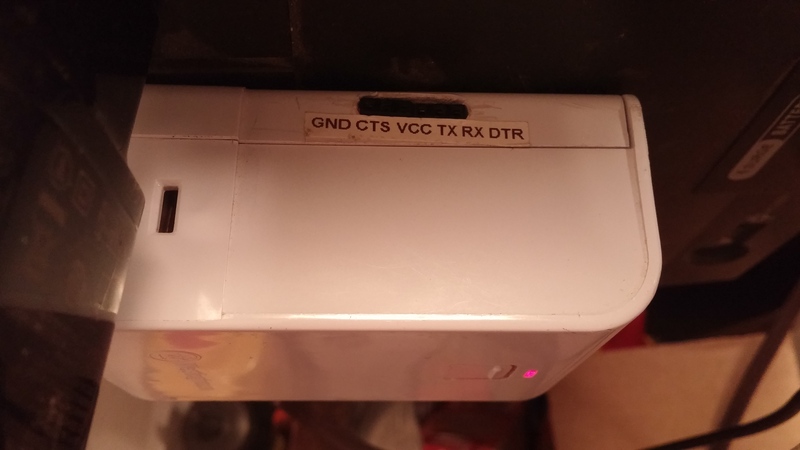 This configuration also allows me to remote program very easily which, yes it can be done with the ESP8266 as well but this project keeps it simple as far as connection is concerned. Added a direct method. After figuring out the little stuff it wasn&apos;t as bad as I thought. You are about to report the project "Home automation on the cheap", please tell us the reason.